Coulon is under projectors this week, because we celebrate its label Small City of Character. Why such a distinction? This label is delivered in the municipalities which develop while protecting their heritage. 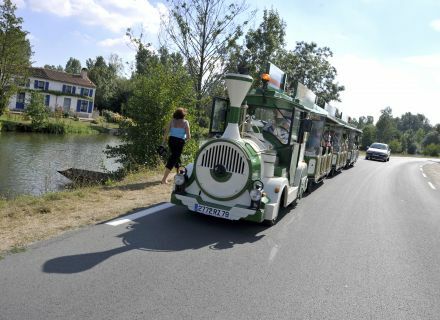 Its neighbor Arçais had obtained it in 2013, it's the turn of Coulon maintaining to be crowned! 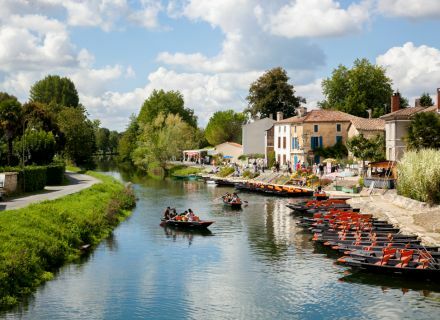 Coulon is one of the oldest villages occupied from the Neolithic time period. 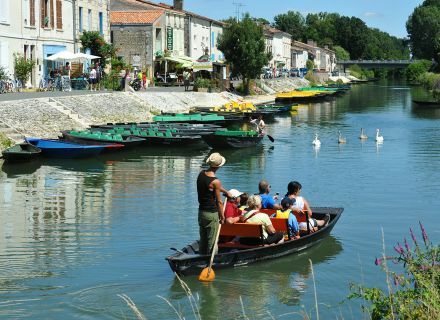 In the XIth century, it settles at the edge of the Sèvre niortaise. The omnipresence of the water shaped the village: its architecture, but also its economy. Coulon knew an intense harbour activity of the Middle Ages in the XVIIIth century. Until the arrival of the train, the ships of open sea navigated until Marans and lighters took over to forward the goods. The river crosses the village of a line. Before this development, an arm of the Sèvre wound until the accesses of the church. Seeing going away their river, the inhabitants had then undertaken to connect it their house via small ditches, which today recorked, gave birth to alleys. Notice the traditional “maraîchin” housing environment: low, long and narrow houses with the part house and agricultural dependence under the same roof. Go to glance at the Barn to Camille for its typicality, but also its other case. This house is really typical of the housing environment of the XIXth century with the body of house, a ground floor preserved as is (former stable) and a floor (the old hayloft, the storage place of the feed for the animals). This barn preserved all its soul and became a place of exhibitions of artists. Some dress it in their works for more than 20 years! 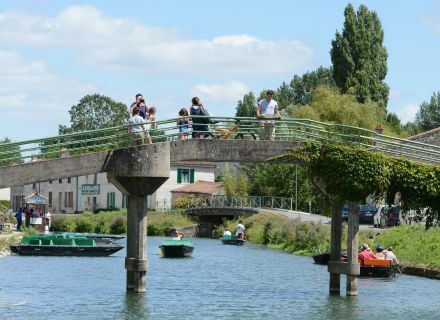 Cross the footbridge, take advantage of it to admire the point of view since the Sèvre and join at the heart of the village the Church the Holy Trinity. 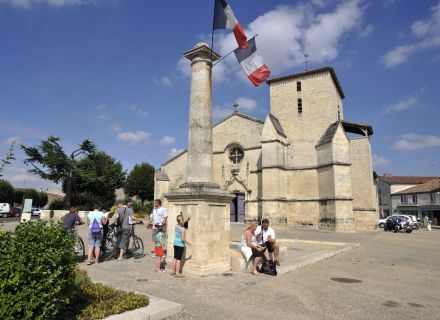 Do not miss the forgery outside “préchoir” and funeral liter of the XVIIIth century. 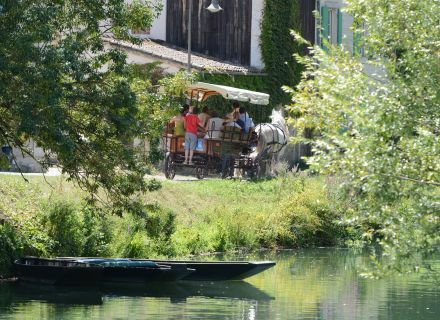 Our stroll ends here, but to you to finalize it with the visit of the House of the Swamp from Poitou, a tour by small train, the traditional stroll in boat or in carriage.